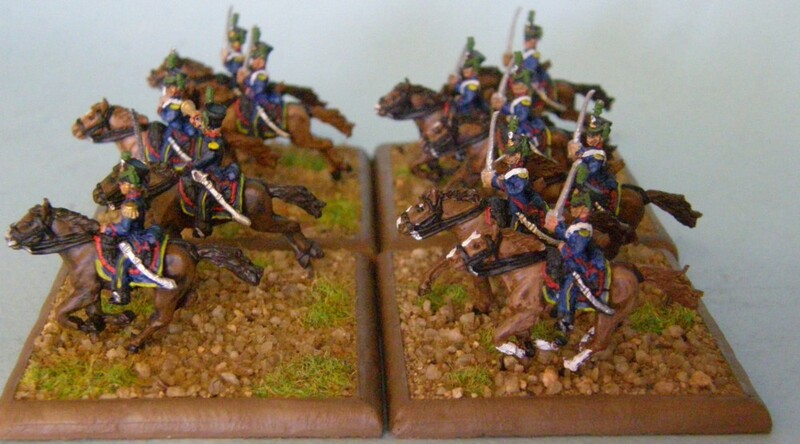 Argentina Cavalry (Horse Grenadiers-1) [AC-01] - $7.20 : Grenadier Productions,, Home of Liberators! 6 troopers & 6 horses. 2 poses each. Troopers wear short coats and shakos, armed with sabers. 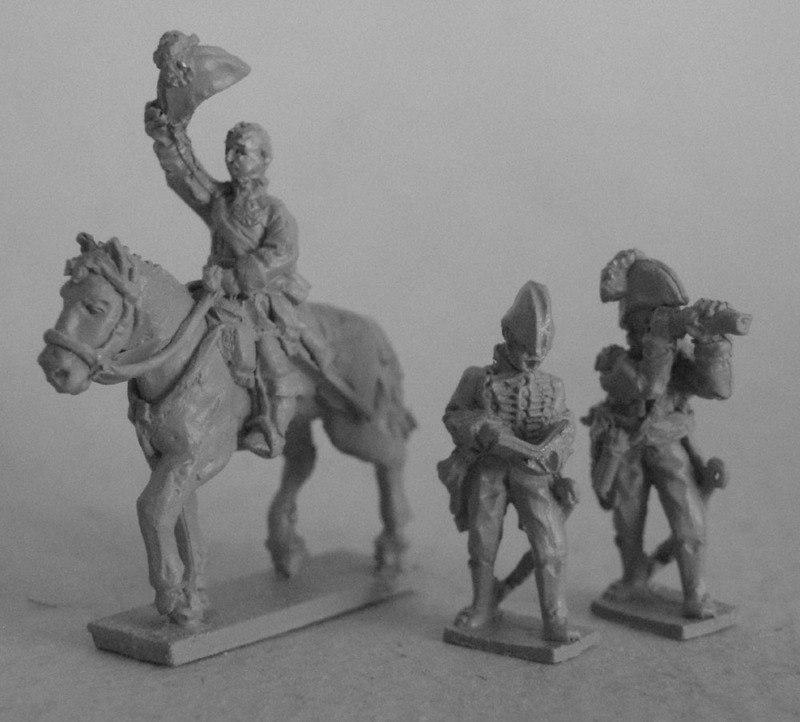 Use these figures for the Granadero a Caballo (Horse Grenadier) Regiment. 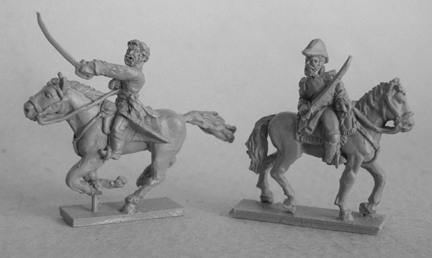 These figures are in full dress and can be used in any scenario featuring the Granaderos a Caballo. 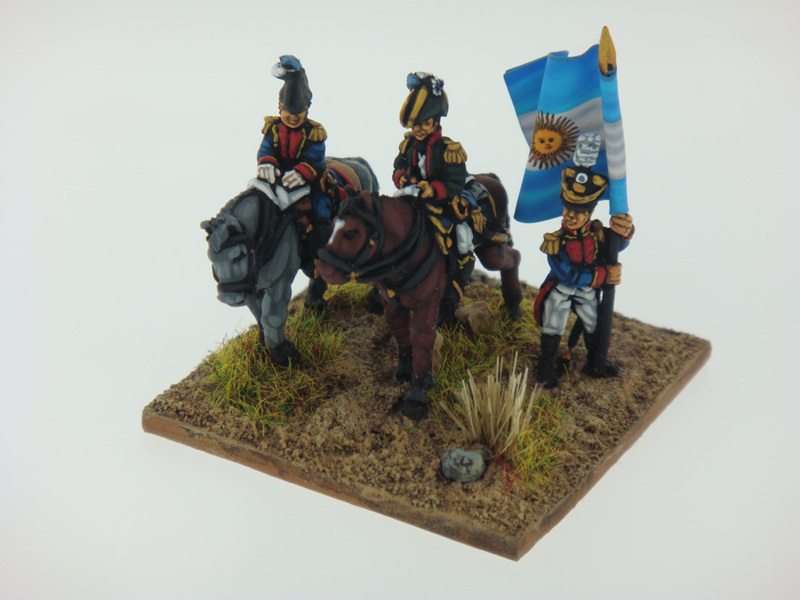 The Granaderos a Caballo were an elite unit formed by Jose San Martin as a showcase melding the superior horsemanship of the South American gaucho with the most advanced European cavalry tactics. The Granaderos a Caballo fought in numerous battles between 1813 and 1824, earning constant accolades and respect whenever they were engaged. 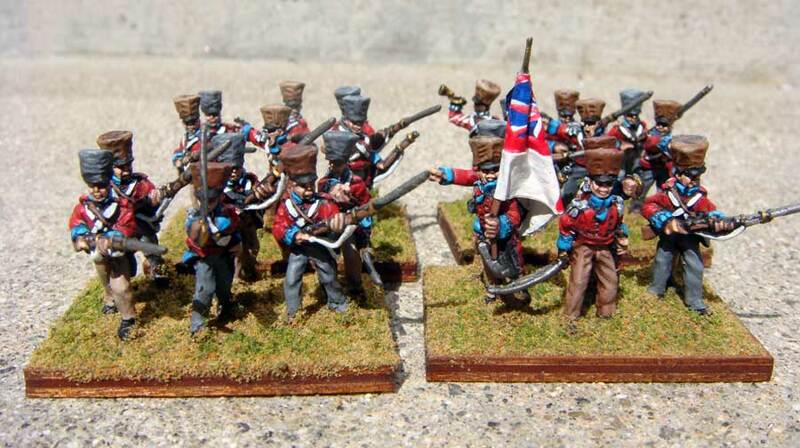 These figures will also be used as Venezuelan Light Cavalry.